We had the chance recently to speak with Powell player Jane Rutter and find out more about her recent recording projects. Read more below as she discusses her two newest releases. Tell us about your recent recording releases. How did these projects get off the ground? From what ideas were they born? · There is an organic, intrinsic connection between mankind and the sound of the flute. · The flute is the oldest instrument known to man- in nearly every civilization on every continent there is to be a found a flute of some sort. Anthropologists believe early humans used the flute when language was inadequate. 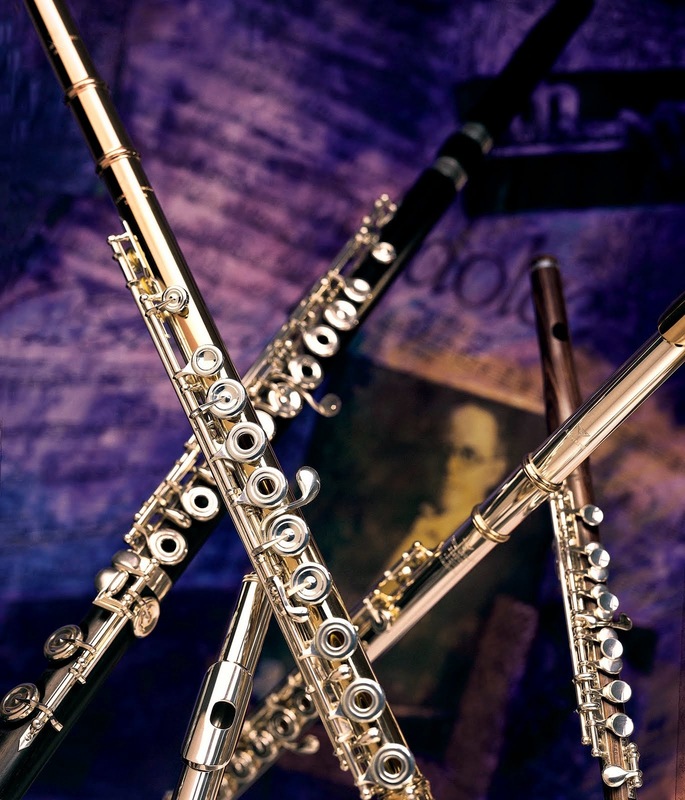 · In Ovid’s metamorphosis, the flute was magically created by the god, Pan. Fashioned from a water-nymph and turned into river-reed, Ovid implies the Sufi ideal that the flute is a metaphor for the human, resonating with the breath of the divine. Flute Spirit is in part a tribute to jazz flutist Paul Horn, (whose album Inside inspired me as a child). It’s an album of entirely improvised dreamlike, mystical & meditative flute music, on which I play - as well as my Powell - many of the Western Classical flutes & ethnic flutes in my collection. Nominated for an Aria Award (Australian Grammy), it represents a freedom of expression that is different to expression in classical interpretation. My record company had seen a concert I devised entitled ‘Four Seasons and a Goldfinch’ and (after the success of my albums & film, An Australian in Paris and French Kiss), wanted an ‘other than French’ album from me, but which nonetheless allowed me to pay tribute to my French flute-playing heritage. They knew that my mentor, the inspirational French flute virtuoso Jean-Pierre Rampal, had recorded The Four Seasons over 20 years ago, so they invited me to put my own imprimateur on the piece. Also featured on this album: two of Vivaldi’s best-loved flute concerti: the delightful Il Gardellino and the haunting La notte. Is a fresh new take on the world’s most popular classical piece. Originally written for solo violin, string orchestra and continuo, Vivaldi's The Four Seasons -a dynamic, vivid portrait of the moods and activities of the seasons- is entirely suited to virtuoso flute. The result is, I hope, an album that transports the listener to a world of imagination. I was to a degree influenced by my French string-playing colleagues, with whom I regularly perform in Paris, and who have a very brilliant, virtuosic yet tender take on the piece. What did you enjoy most about recording this music? For the Vivaldi I loved the challenge of making the piece my own- incorporating some of the special effects possible on flute (as opposed to violin.) It was important to me to put my own stamp on this compelling, best-loved piece of classical music. I greatly admired the recordings of Jean-Pierre Rampal and James Galway, but also felt strongly that I wanted to create my own interpretation. Alain Marion used to say: ‘Artists hear with colour, musicians paint with sound.” I found The Four Seasons the perfect piece to convey that notion. It contains such potent imagery. True to the Rampal School, I always play with communicative intent, with a narrative in my head and in my heart. The Four Seasons was one of the most innovative works of its day, and has continued to thrill audiences ever since. I remain faithful to Vivaldi’s original, and introduce new sounds and textures, which just aren’t possible on the violin. I thoroughly enjoyed working with Sinfonia Australis: an orchestra of some of Australia’s finest baroque musicians including brilliant rising star, director harpsichordist, Erin Helyard.